Kodi is one of the most high-end feature-rich media centers which is getting more popular day by day. Being available on multiple platforms, it is very convenient to use whether that be a windows PC, a MAC, an android based device or even one running Linux. With an increase in the number of add-ons for Kodi, it is better to get a device with high-end specifications which can not only be used for streaming high-quality videos but also for many other features that it provides. Also, the quality of videos can be greatly improved by the use of assorted demanding algorithms which require high-end hardware. Therefore, we will be discussing the most high-end mini PCs that won’t take much space on your desk but will be powerful enough to run Kodi at its brightest. Zotac has been releasing computer products for a long time but its recent products have stirred up the market. Zotac ZBox EN1080K is among the best Mini PCs in the market hosting 7th generation Intel Core-i7 processor, which is a high-end quad-core processor. Two DIMM slots are available in this PC which is sufficient for most users as the latest RAM sticks are comprised of large memory. One of the crucial features of this PC is that Nvidia GTX 1080 is installed in this it, a robust graphics card, providing tremendous graphical experience. ZBox provides a 2.5″ drive bay and an M.2 slot for storage devices which is acceptable at this size. The ZBox uses a liquid cooling solution for efficiently dissipating the heat since compact PCs are unable to perform well with air cooling. The Zotac ZBox EN1080K comes with two AC adapters of 180-watt each as the graphics card alone has a TDP of 180-watts. It includes lots of latest ports including USB 3.1 Type-C which is getting a lot of popularity as most of the recent products use this port. People who use wireless products can rest assured, this PC provides marvelous wireless experience thanks to Dual-Antenna Wi-Fi and Bluetooth 4.2. As for the real-time performance, we observed that this PC handled everything very smoothly showing no signs of stuttering and the temperatures of the components were way under the limit due to liquid cooling. The ZBox weighs around 7.5-lbs which makes it quite mobile, in case users need portability. It is a perfect choice for people who want the best performance in the category of Mini PCs, regardless of the price. Micro-Star International (MSI) is one of the top brands when it comes to gaming products. MSI Trident 3 is a splendid Mini PC which uses latest generation components along with nifty looks. This PC can be customized with a lot of graphics cards making it an alluring product, as graphics cards are one of the primary components consuming almost half the budget. It hosts an H310 motherboard supporting 8th generation processors and is equipped with both M.2 slot and 2.5″ bay for storage devices. As for the cooling solution is concerned, a blower-style fan is used for the processor through which the hot air flows directly out of the case. MSI has used its Aero-ITX design for the graphics card, which is known for mini size although it runs a little hotter. With a slightly lower ranked graphics card than the ZBox Magnus, this PC covered the loss with improved CPU performance in the tested benchmarks. However, the temperatures were a lot higher than the ZBox. 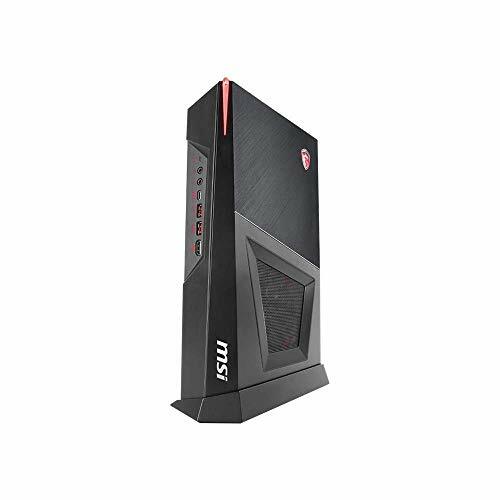 MSI Trident 3 does not incorporate a PSU inside the case and an AC adapter of either 230-watts or 330-watts powers it, depending on the chosen graphics card. This PC comes VR-Ready with front HDMI port being used for VR headsets. It weighs around 7-lbs, though unlike the ZBox it uses a tower form, which looks more desirable. 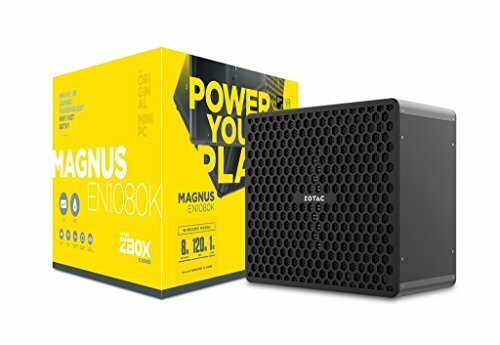 It offers quite a competition to ZBox Magnus and is targeted towards people who care less about graphical performance. Intel does not manufacture any desktop PCs or laptops, however, among the compact PCs, Intel is unparalleled. 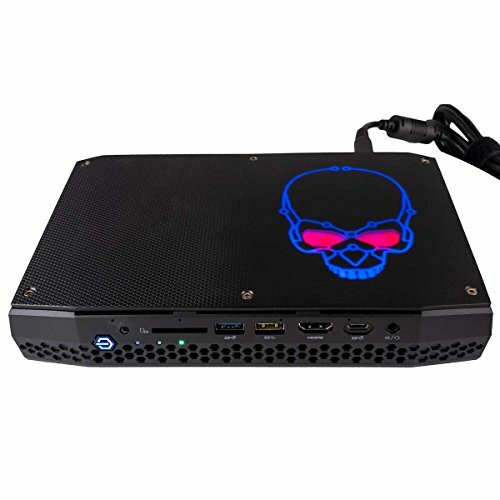 Intel Hades Canyon NUC is one of the most-selling compact PCs in the market due to its high reliability and features. NUC stands for “Next Unit of Computing” and this series has provided us with the fastest Mini PCs using a single combined chip. It supports Intel 8th generation of mobile processors up to Core-i7 8809G along with 32-GB memory. AMD Radeon RX Vega M GH is the fastest graphics card that can be used with this laptop which provides great functionality, thanks to its High-Bandwidth-Memory. This PC also has the fastest RAM frequencies in this category of PCs with up to 3200-MHz, though overall capacity remains the same. On the other hand, it provides only a single M.2 slot for storage drives confining the storage capacity to a maximum of 2-TB which can be deal-breaker for some people. Since this PC uses a mobile chipset, its benchmark results were a little lower than those we previously mentioned, though the performance was more than sufficient for Kodi applications. Also, it provided a lot of I/O ports for ease of use. Intel Hades Canyon NUC comes with a 390-watt AC adapter to power it, which is much higher than most of the compact PCs. With the availability of a large number of I/O ports in this PC, users can use up to six monitors. It is also available in the bare-bone configuration i.e. without storage and RAM, allowing the user a lot of customization. This PC might not provide an exquisite graphical experience but due to high processing power, it’s a spectacular product nonetheless. 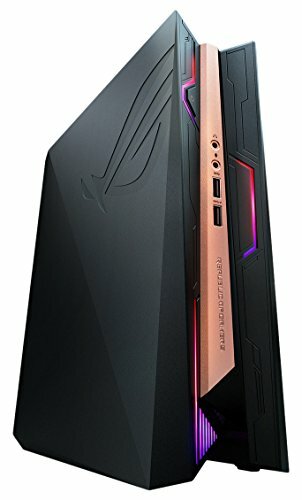 Asus ROG (Republic Of Gamers) is an enthusiast-class series which has been designing a lot of innovative products. Asus ROG GR8-II is a compact PC designed to save space on the desk while providing high-end specifications. It features 7th generation Intel processors and supports up to 32-GB of DDR4 RAM. With an H110 motherboard at hand, the BIOS features of this PC are very limited and might not provide a gratifying experience. Unfortunately, there are no high-end graphics cards available with this product and users are confined to Nvidia GeForce GTX 1060 3G and 6G. As for the storage capacity, there are two variants of this product where one provides a supplementary 2.5″ bay for SATA drives while the other one supports only a single M.2 slot. The PC looks astounding and gives a premium feel thanks to unique casing design and Aura Sync supported RGB lightning. Asus ROG GR8-II comes with a 230-watt AC adapter which is adequate for a high-end processor along with GTX 1060. Even though this PC utilizes a blower-style cooling fan, it is efficient enough as the PC is not power hungry. We observed that the processor and the graphics card were matched very well in this PC and showed no signs of bottleneck. Although the fans were a bit noisy during the test session which was expected as the blower-style fans are known for their noise. We recommend this product to users who want great performance along with pleasant aesthetics as its looks are unrivaled against other products in our list. 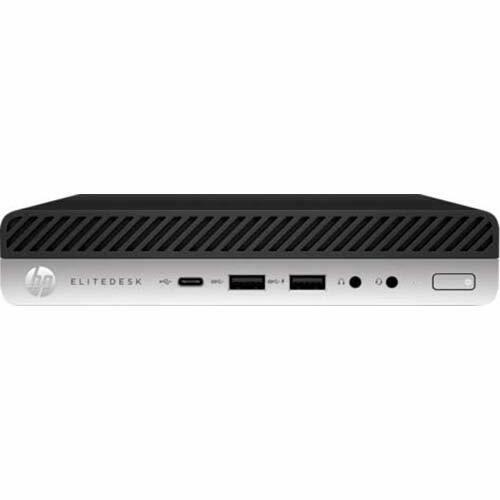 HP EliteDesk series has provided us with brilliant products consistently with EliteDesk 800 G4 Mini being their latest model. This series is designed to provide compact solutions for people who don’t need graphical performance. As for the processor, it supports 8th generation Intel processors up to Core-i5 8500, a hexacore processor with six threads. Even at such a remarkably small size, it can pack 32-GB of DDR4 memory and provides ample storage capacities by using two M.2 slots and a 2.5″ bay. However, there is no space for a dedicated graphics card crippling the graphical capabilities of the PC. Testing this PC was not a hectic task as it does not include a dedicated graphics card. The CPU performance was satisfactory and temperatures stayed under the limit. With highly efficient power supply and ultra-low-power processors at hand, this product is absolute beauty for people who want to enjoy a sweet experience while keeping their bills under control.